Welcome to Martin-Kearns.com -The World's Least Viewed Website! Firefox is a lovely browser. Faster, and more stable than Internet Explorer, it also effectively suppresses intrusive pop-up windows and is less prone to hacker attacks. Yet, while Firefox provides greater security against the enemy "out there" - i.e. the hackers and crackers in Bulgaria, Russia, Morgantown WV or even Chipping Sodbury - it provides no meaningful defence against the "enemy within." "Who they?" you might ask. Well, the "enemy within" could be your spouse, your child, your colleague in the office, your cleaner, the guy who comes to instal your cable - anyone in fact, who can access your compuer - if only for a few seconds. 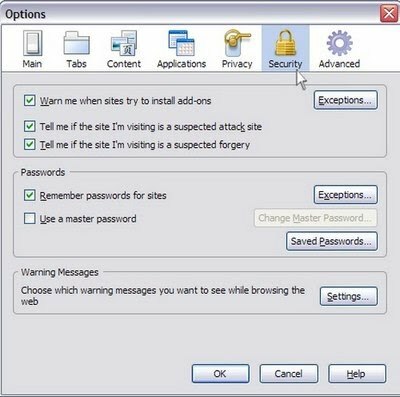 By default, the saved usernames and passwords of everyone who uses Firefox on any computer are not simply vulnerable; under the default settings, they are literally begging to be stolen. 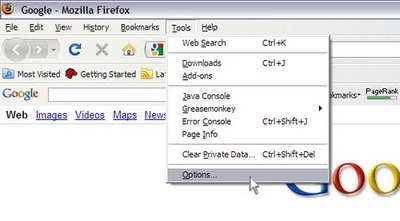 On the Firefox toolbar, click on Tools; a dropdown menu will display and you need to select (what is typically) at the bottom of that menu; Options. We'll revisit these settings a little further down the page. Now, click on the "Saved Passwords" button. Do you see what I see in the picture below? Another, smaller menu named "Saved Passwords" pops up. It features two columns; the left-hand column is termed "Site", and the right-hand one "Username". No actual passwords on display yet, but Lordy! Do you really want your boyfriend or your girlfriend, your husband or your wife (or all four, if you're the adventerous sort) having access to even all of your usernames? Probably not. (And it gets worse). At the bottom right of the Saved Passwords box in the above picture you will also see a button marked "Show Passwords"? Click it, go on. Oh, go on, then. Let's click yes. But I blame you for this, not me. It now features a third column. The right hand column is headed "Password". This area of Firefox shows all previously visited websites (by all Firefox users on the computer you are using) where any of those users have created a password protected log-in; it also divulges all of the usernames and the passwords used to log into those sites. Hey kids! 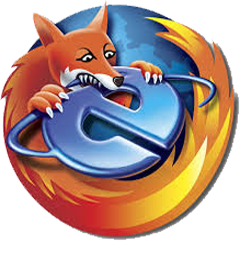 If mum and dad suddenly and inexplicably start encouraging you to use Firefox instead of Internet Exploder it has nothing to do with me, right? Now, depending upon your motives for doing this, the Saved Passwords box gives you an option to selectively remove passwords, or remove all of them (but this is no sort of real solution to the issue at all). 2. You can protect all your passwords (which are probably pretty much all the same anyway?) with a Master Password. So, place a tick in the "Remember passwords for all sites" box. 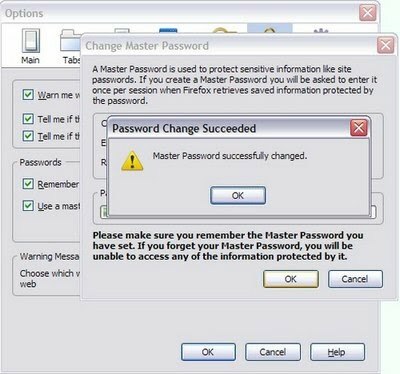 Doing so will present you with a Change Master Password form. 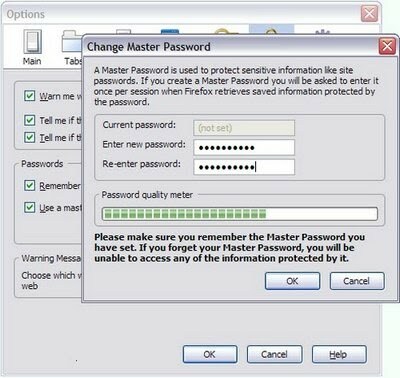 Just like it says on the form, "Please make sure you remember the master password you have set..."
Obvious, really. Enter your (new!) Master Password in the top field, duplicate it within the second field, and click OK. 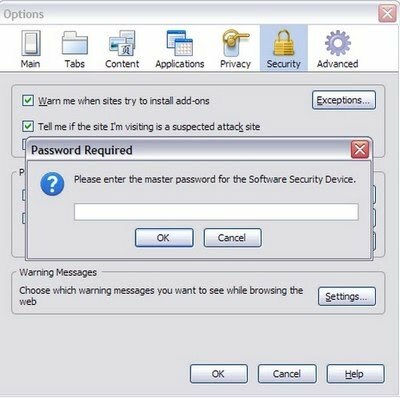 Provided you managed to enter the exact same password in both fields, you will then be presented with a pop up box; Master Password successfully changed. 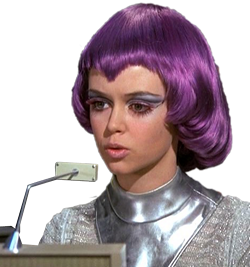 You won't forget what the Master Password is, will you? Now, close down all open Firefox windows. Then restart it. Once Firefox is open (and every time from now on that Firefox opens), the only person who can view all those usernames and passwords is the person with the Master Password. Firefox: still way better than Internet Explorer, and, with this tweak, more secure too. Agents are standing by to take your call! "I asked Martin to help me push my websites to the top pages of Google for relevant search phrases and the result was swift and spectacular. Martin's expertise in terms of SEO is beyond question and it was a pleasure to interact with him: he is a good listener and certainly knows how to meet your expectations. In a nutshell, I would say that Martin is reliable and talented and a man with excellent interpersonal skills." A real-life Professor, no less!